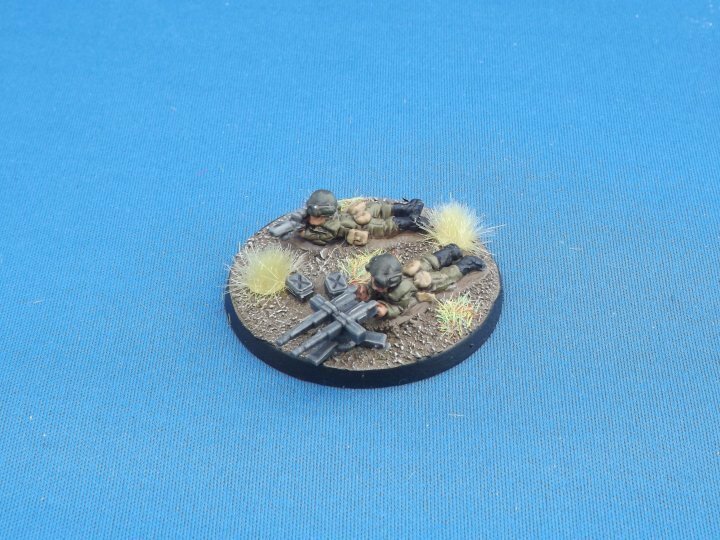 Our range of 15mm British sci-fi figures already has several tripod mounted crewed weapon options available. 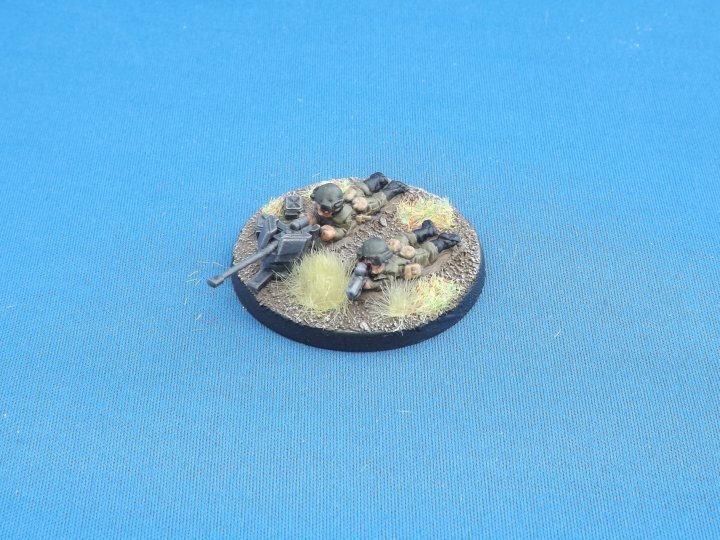 However, we also have a second set of prone crewman figures (unreleased to this point) for which there were no weapon models. So we’ve made some new guns for them and added them to our Salute line-up. The first weapon is an anti-tank rifle, although that rather antiquated name is a bit of a misnomer as it’s somewhat more advanced than the Boyes weapon of WW2 vintage. This one is mounted on a tripod and also has a gun shield for the crew and will give a serious headache to a light tank or APC. The second weapon is a twin-MG, inspired by our 6mm heavy weapon. This will put a huge amount of firepower downwind in the direction of any enemy infantry. Each pack contains two weapons each with two crew, a gunner and a loader with rifle. Salute is the largest show on the UK gaming calendar – this year it’s a little earlier than usual, April 6th, at the now established venue in London’s ExCel centre. Once again Brigade will be in attendance, and you can find us on stand TE16). As always we try to bring a number of new items across our ranges, and this post is where you will find them all. It will be regularly updated as we release details of each new model, and we’ll stick it to the top of the blog until the show it over so it’s easy to find. We’re happy to take orders for the show – you can either place an order and pay in advance using the collect in person option on the website, or just drop us an email with a list and pay on the day (cash or card). Our ranges have grown so much that even at a show as big as Salute we can no longer bring large quantities of every model, so if you’re after something in particular and want to guarantee that we have it then it’s wise to get your order in early. It’s often difficult to judge demand for new releases so they can sometimes sell out quickly. 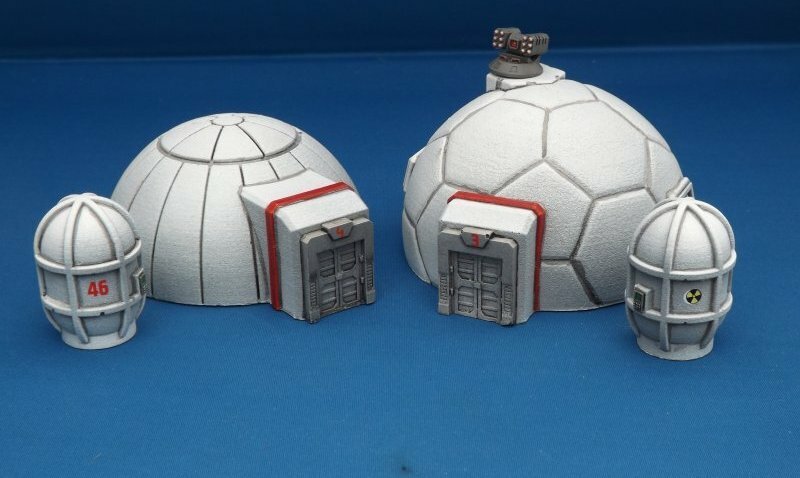 Next on the Salute list for this year are some additions to our 15mm Moonbase range (well, we say range, until now it’s only been a single model!). Keeping the fleet fully supplied with fuel and vittles is the job of this massive beast, the Fort Linton class Replenishment Ship. Part of our ever expanding range of British spaceships, this resin and metal kit is 110mm long with separate fuel and cargo pods the fit underneath the main hull. 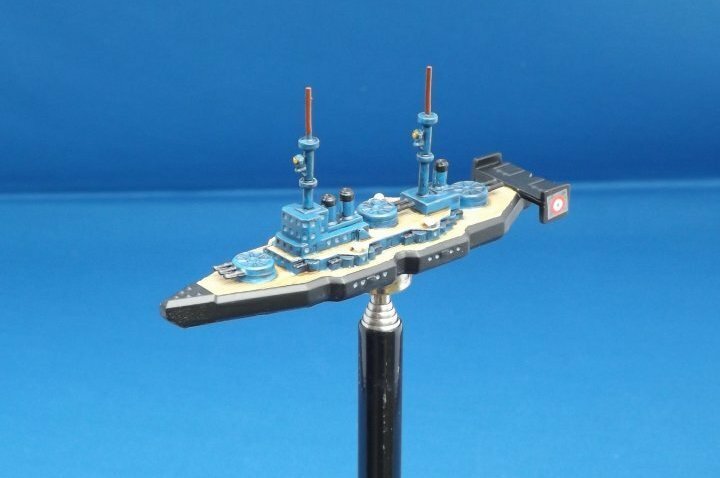 The Fort Linton will be available at Salute along with the rest of our spaceship ranges. Salute 2019 is approaching quickly – it’s earlier than usual, April 6th, so is just over three weeks away. As always we’ll have a raft of new releases, and today is the day we start previewing them. First on the list is this splendid example of Italianate aerial architecture – its full title is the battlecruiser Grande Ammiraglio dei cieli Silvio la Verde, although we’ll shorten that down to the la Verde class so it fits in the catalogue. 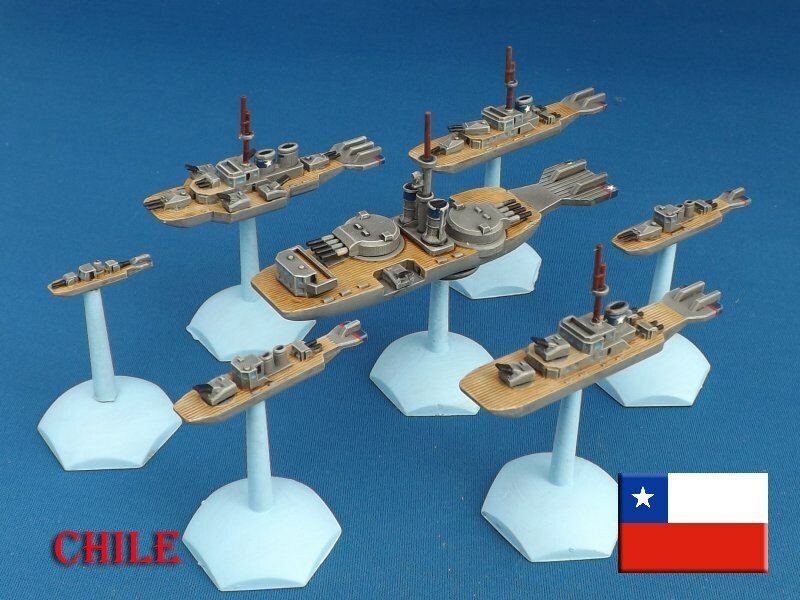 It’s the largest vessel in the Italian Aeronef fleet and is often used as a fleet flagship. The la Verde class are sleek, speedy and manoeuvrable with heavy hitting power, although let down by weak armour in some areas. The Waldheim Dragoons is a mercenary outfit with Germanic origins, tracing its roots back to Saxony on Old Earth. They are a heavy armoured unit equipped mainly with blower vehicles, including the earlier A2 and A5 versions of the same M2 tank used by Hammer’s Slammers. They also use lighter Daedalus medium tanks and the GD-900 hover APC, which are the subject of today’s new releases. The Daedalus has a domed turret equipped with a 10cm powergun and 2cm tribarrel. Although ostensibly a larger weapon, it doesn’t quite match the hitting power of the High Intensity version fitted to the Waldheim’s M2A2 tanks. Defensively the tanks are fitted with the Drozd active defense system to ward off missiles. There is also an air-defence version which has its turret replaced by one fitted with three long-barrelled 2cm tri=barrel powerguns capable of knocking down incoming artillery shells and missiles. The GD-900 is a simple ‘battle-taxi’ APC which can carry up to eight infantry and has an AI-controlled 2cm tri-barrel for self-defence on the commander’s hatch. They can also tow the 5cm HI Powerguns used by the Waldheim’s infantry. There are also two 10-TU detachment packs available, Light and Heavy Armoured, taken from the Waldheim’s detachment sheet for Hammer’s Slammers:The Crucible.